“Being now justified by His blood, we shall be saved from wrath” (Rom 5:9). We can be justified by the blood of Christ. This is perhaps one of the most wonderful experiences we receive through His blood. “Justified” means, “made righteous”, made as if we have never sinned. If sin is repented of and confessed with a broken and contrite heart, the blood of the Lamb has the power to erase that sin and justify the one who sinned. 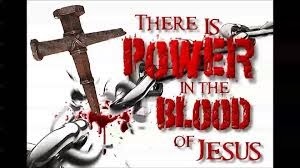 Dear reader, although this is only a crude example, the truth is the same - “justified by His blood.” If you will truly repent for your sins and foolish mistakes, remember, the blood of Jesus has power to forgive you and justify you.